Lake Shore News became the Wilmette Life with the issue dated 5 Oct 1923. 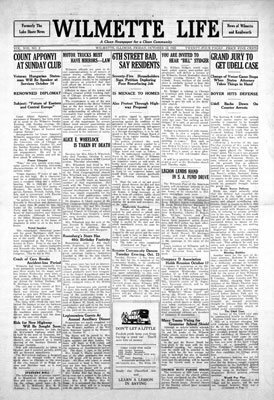 The newspaper covers news in Wilmette, Illinois, from 1923 to the present. It has been indexed on this website from 1991-2012.